Asbestos exposure is the main cause of mesothelioma. The ingestion and inhalation of airborne asbestos fibers are the most common causes of mesothelioma. Nine out of ten cases of mesothelioma are caused by exposure to asbestos. Asbestos is a natural mineral, mined from rock found in many countries. It is made up of tiny fibers that are as strong as steel but can be woven like cotton and are highly resistant to heat and chemicals. Asbestos fibers are very fine and when breathed in they can make their way into the smallest airways of the lung, so they cannot be breathed or coughed out. Once the fibers are in the lungs the body’s defense system tries to break them down and remove them, which leads to inflammation in the lung tissue. People who worked in places where asbestos was present. Family members of workers who worked with asbestos and brought the dust home on their clothes. 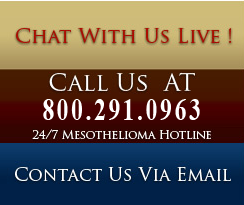 Mesothelioma is not contagious and cannot be passed on to other people. It is not caused by inherited faulty genes and so family members do not have an increased risk of developing it, unless they have been in contact with asbestos.